Since its inception in 1976, education has been one of the hallmarks of David Lerner Associates. Investment Counselors were and are trained to meet with prospective clients one-on-one to explain the various investment options available to them. In 1980 this was expanded to include investment seminars which are now available throughout the tri-state area and in south Florida. 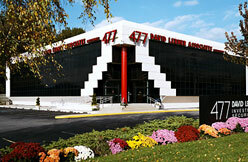 David Lerner Associates remains dedicated its educational roots. In this section, you will find articles, glossaries, frequently asked questions (FAQs), and other tools to help you better understand your investment options. We hope you find the information here helpful. Choose from the menu on the left to get started.